A fanastic 9ft x 13ft trampoline package suitable for younger children and smaller areas, now with FREE black powder coated ladder. From years of developing trampolines for the garden with performance and safety in mind, the latest model to come off of the Telstar production line is sure not to disapoint.. The top of the net is made secure and rigid by Telstar's fibre glass rod system for extra rigidity. 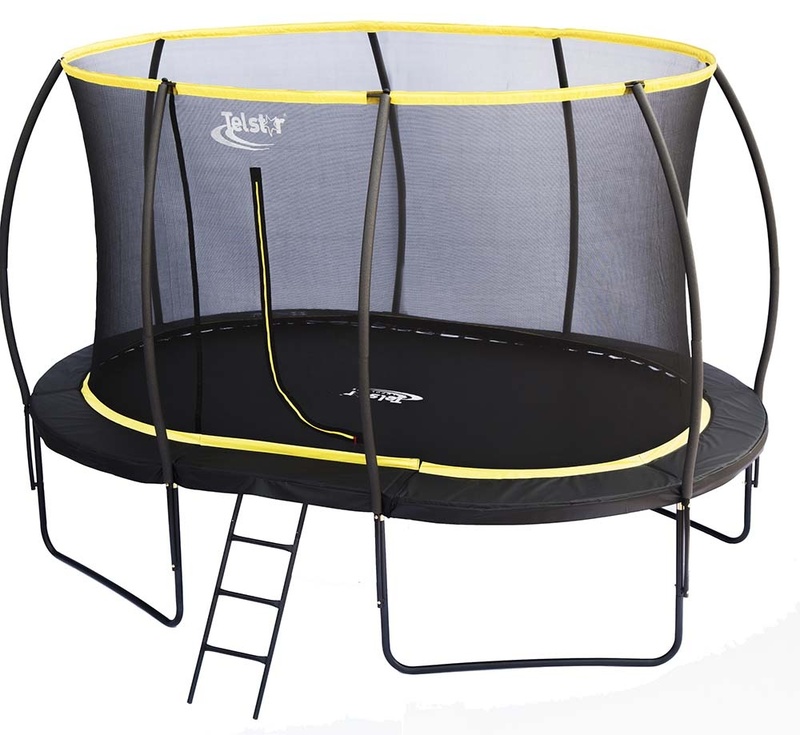 The ALL BLACK trampoline with bright yellow flash looks great. Frame : 42mm x 1.8mm fully galvanised.